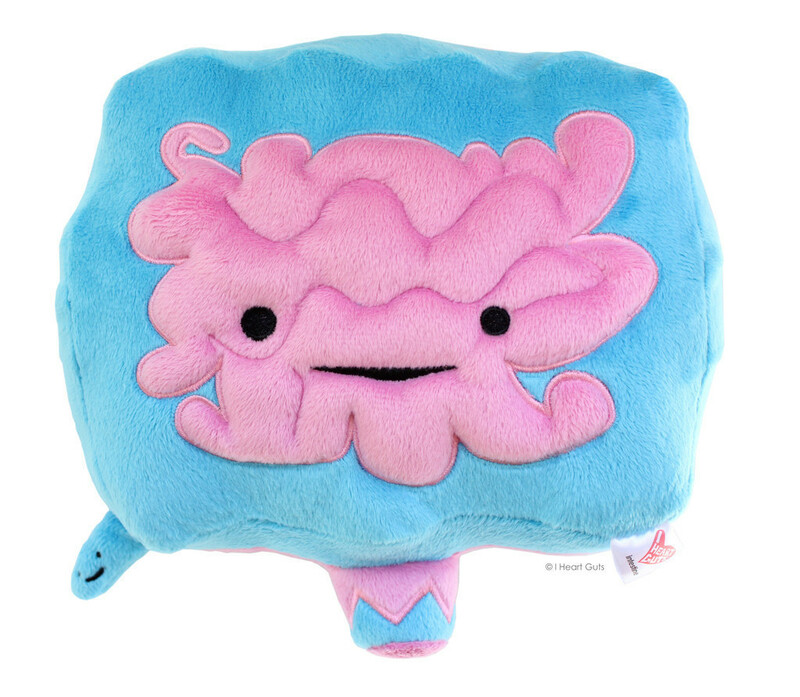 Super-soft high-quality 9" x 9" plush intestine comes with a wonderful mini-book hangtag filled with art and information about everyone's favorite gastrointestinal pal. The small intestine absorbs nutrients from food while the large intestine takes in water and excretes solid waste. Appendix included!